We all are aware that December 1 is the World AIDS Day, as designated by the World Health Organization. We keep hearing about the global statistics, the efforts of the medical community and the ongoing research as well as the efforts of some organisations in bringing about the awareness. But what is it that we, as individuals, can do to show our Support and sensitivity towards AIDS Awareness? Saudawala puts forth a few things that we all can start doing on December 1 and show that “We Care”. On December 1, wear red ribbons (the internationally recognised symbol for awareness and support against AIDS on your dresses, shirts, kurtis, jackets, sweaters and other outfits to express your moral support and solidarity with the people living with it. Start a Social-Media Campaign on AIDS support. Donate medicines for AIDS patients. Sponsor treatment for an AIDS patient. A number of governmental and non-governmental organisations hold public campaigns to spread awareness about AIDS on 1st December. You can join any of these campaigns individually or in groups, learn more about it and spread the word around too. Read books, articles, blogs, social-media posts and other publications about HIV/AIDS and clear your misconceptions about it. If you know any HIV positive patient near you, go spend some time with them lending your moral support in their fight against HIV virus. You can also visit those areas of your town or city wherein the bulk of population is illiterate and thus is completely ignorant about the threat AIDS poses to their health. Educate them about the ways they can protect themselves from it. 1 in every 3 People Living with HIV/AIDS faces a negative bias, relentless ill-treatment and discrimination at the hands of their fellow human beings. So, it is paramount to make sure that they are treated with equal dignity and respect like others. Do not limit yourself to following these pieces of advice put forth by us and only on 1st December. Try to make them a habit and play your part in making a much healthier world community. 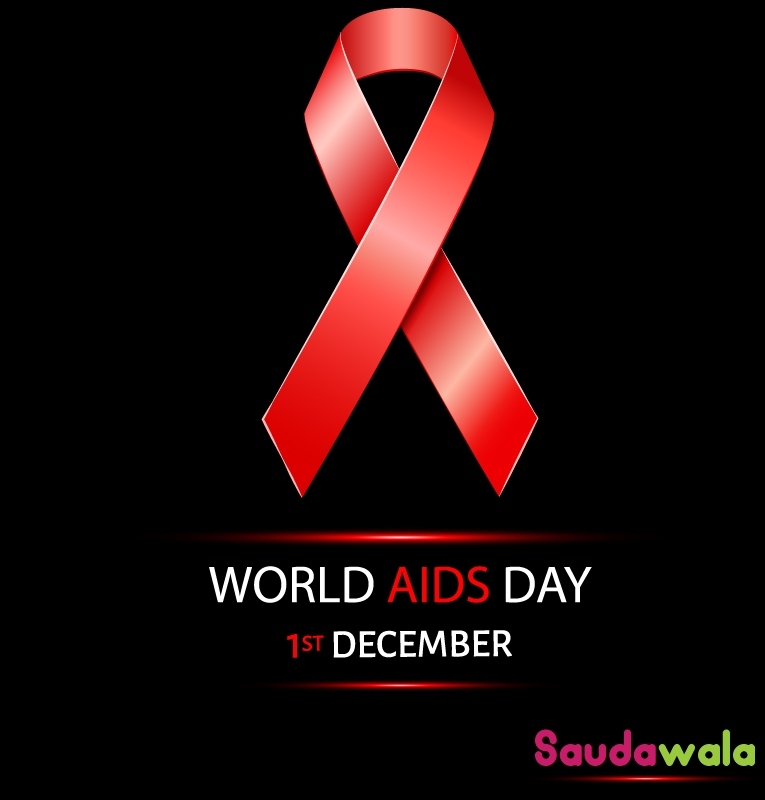 The Saudawala Team extends its support to all those who have HIV in India and around the world.